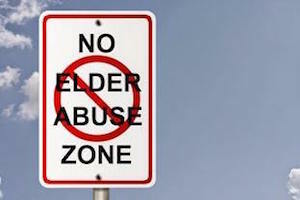 Civil claims for elder patient rights abuses in California shouldn’t be necessary in a “perfect world” but, unfortunately, the elderly are some of the most vulnerable in our society and too often fall prey to physical, emotional and/or financial abuse in skilled nursing facilities or similar settings. It is estimated that the State of California has over 1200 skilled nursing care facilities with over 100,000 beds at approximately 85 % capacity or more. While most of these facilities maintain high standards, neglect and abuse can and still do occur with far too much frequency. What are the rights of the patients (or their legal representatives including conservators) and what does Cal. law say about a right to compensation in the event of a violation? What are the Legal Rights of Elderly Residents in Long Term and Intermediate Care Facilities in the State of California? “To be free from psychotherapeutic drugs and physical restraints used for the purpose of patient discipline or staff convenience and to be free from psychotherapeutic drugs used as a chemical restraint” (as defined in California Health and Safety Code Section 72018 [i.e. “… a drug used to control behavior and used in a manner no required to treat the patient’s medical symptoms”). If These Rights are Violated, What Civil Recourse Lies for the Patient or Their Representative? The civil liberties spelled out in the Elder Patient’s Bill of Rights are not all inclusive and legal recourse for older persons who have been subjected to mental, physical, or financial abuse at the hands of their caretakers are certainly not limited to those spelled out in Cal. H&S Code 1430. These types of claims require investigating promptly, securing the proper evidence of abuse or neglect, and presenting the claim in a timely manner under proper legal protocols and procedures. Consulting an attorney familiar with these types of claims is essential to a proper representation of the patient and zealous advocacy to not only compensate the victim but, prevent future conduct that harms vulnerable Californians.